In 1215 the King allowed the City of London to elect its own Mayor. Every year the new Mayor must travel upriver to Westminster and swear loyalty to the Crown. The Lord Mayor has now made that journey for 800 years and it was the spectacle of its day. In the 20th century the Lord Mayor's Show still attracts a TV audience of millions. Though the route and date have changed the pageantry is still there. 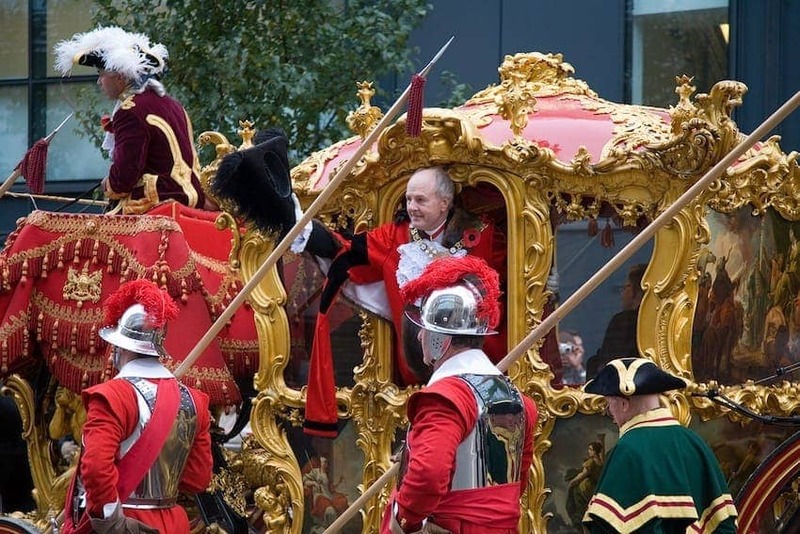 The state coach is 350 years old and the City's businesses, livery companies, charities, Her Majesty's Forces, the City Police and Londoners from all walks of life join in the celebration.